The Cajun and Creole people most live in the state of Louisiana, especially southern Louisiana. Cajun people tend to be descended from French Acadians (French settlers in the Canadian maritime provinces and the state of Maine), whereas Creole are often descended from French and Spanish settlers in Louisiana who arrived prior the region becoming part of the United States as a result of the 1803 Louisiana Purchase. Intermarriage, and perceived social differences between Cajun and Creole people, has of course blurred the distinctions between the two groups, and many people choose to define their own identity in the way that they feel describes themselves best. 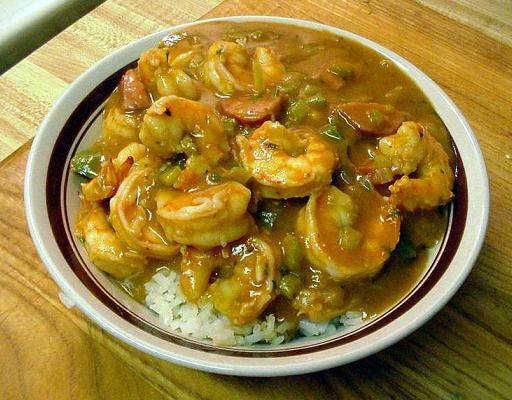 Outside of Louisiana, the difference between Cajun and Creole cuisine is somewhat blurred. However, in the state itself, there are distinct differences. Cajun food tends to spicy, hearty, based on local produce, including agricultural produce and wild game. Creole cuisine is sometimes perceived as more sophisticated, and tends to make more use of seafood. Boudin - Pork sausages containing milk and rice. There are two varieties boudin blanc and boudin rouge, which principally differ whether they include pig's blood. Creole Omelette - A plain omelette served with a spicy vegetable sauce. Cracklins - A snack made from fried pork skins. Gumbo - A soup made from meat or shellfish stock, bell peppers, celery, onion and a thickener. The thickener used is usually okra or filé powder (a spice made from dried ground sassafras leaves), sometimes with roux (a mix of wheat flour and fat). The soup also usually contains poultry, smoked pork, and local shellfish such as crab, crawfish or shrimp. Andouille (a sausage made from smoked pork, chitterlings, onions, wine and seasoning) and tasso (smoked pork shoulder) are often added to the recipe, giving it a smokey flavor. Gumbo has become popular throughout the Gulf Coast, and even in Northern Soul Food restaurants, and Gumbo is traditionally served over rice. Jambalaya - This dish has been described as a New World version of Spanish cuisine's paella - although it usually tomatoes instead of saffron, and various local meat and seafood, depending on the recipe and what ingredients were available in the area. 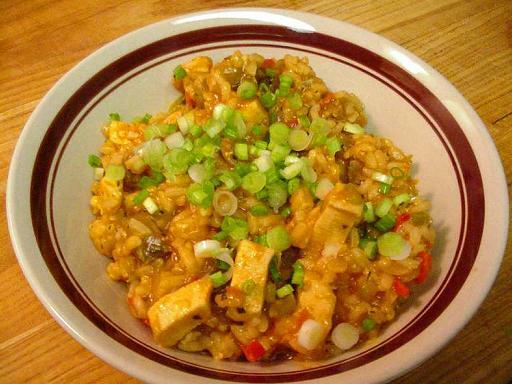 Jambalaya is prepared in a single pot, and contains meat, seafood, vegetables, rice and stock. Oysters en Brochette - Raw oysters are placed on a skewer with partly cooked bacon. The whole thing is then breaded and deep-fried. The skewer is then removed, and the dish is then served on top of triangles of toast with Meuniere sauce (a local sauce made from flour, butter, parsley and lemon). Oysters Rockefeller - A dish invented by the New Orleans chef, Jules Alciatore. The dish is made from oysters, parsley and parmesan cheese topped with a rich sauce. The dish was named after the richest American of the time, John D. Rockefeller, and was created as an alternative to escargot at Antoine's restaurant in New Orleans. Pompano en Papillote - A dish made by cooking a fillet of pompano fish in a parchment envelope with a sauce of wine, crab and shrimp. During the cooking process, the envelope usually puffes up to resemble a balloon - which is appropriate since the dish was originally created by Jules Alciatore, in honor of the Brazilian balloonist, Alberto Santos-Dumont. Shrimp Creole - Shrimp in a sauce made from tomatoes, celery, onion, and bell peppers, flavored with pepper sauce. It is usually served on top of steamed rice. Celebrate the gorgeous and delicious possibilities of plant-based Southern cuisine. Inspired by the landscape and flavors of his childhood on the Mississippi Gulf Coast, Timothy Pakron found his heart, soul, and calling in cooking the Cajun, Creole, and southern classics of his youth. In his debut cookbook, he shares 125 plant-based recipes, all of which substitute ingredients without sacrificing depth of flavor and reveal the secret tradition of veganism in southern cooking. Finding ways to re-create his experiences growing up in the South--making mud pies and admiring the deep pink azaleas--on the plate, Pakron looks to history and nature as his guides to creating the richest food possible. Filled with as many evocative photographs and stories as easy-to-follow recipes, Mississippi Vegan is an ode to the transporting and ethereal beauty of the food and places you love. The next cookbook from the star of TV series New Orleans Cooking with Kevin Belton . . . The gregarious star of the popular television cooking show, New Orleans Cooking with Kevin Belton, is at it again with a second cookbook showcasing even more of his delicious Creole and Cajun recipes. Kevin Belton’s New Orleans Kitchen offers tasty New Orleans classic dishes like Crawfish Pie, Fried Oyster Po-Boy with Blue Cheese and Buffalo Sauce, and Duck and Andouille Gumbo with Potato Salad, as well as foreign favorites with a little New Orleans twist, like Cuban Paella, Vietnamese Wonton Soup with Shrimp Dumplings, and Greek Souvlaki with Tzatziki. Belton’s exciting flavors and engaging writing alongside Eugenia Uhl’s mouthwatering photographs make this new cookbook a must-have. A nationally and internationally recognized chef and educator as well as the star of PBS/WYES’s New Orleans Cooking with Kevin Belton, and now Kevin Belton’s New Orleans Kitchen, Chef Kevin is known for his expertise in creating New Orleans cuisine as well sharing the culture and culinary heritage of the greatest city in the world. Celebrate like they do in The Big Easy with Chef Kevin Belton’s newest cookbook. The spotlight in this third book from the star of New Orleans Cooking with Kevin Belton is on the festivals and celebrations of the Big Easy and surrounding areas. New Orleans is known as the Festival Capital of the World, hosting dozens of annual festivals that showcase the unique food and multicultural heritage of the city. Kevin Belton’s New Orleans Celebrations will be a smorgasbord of delicious creations from vibrant festivals like the French Market Creole Tomato Festival, Bastille Day Fête, the Crescent City Blues and BBQ Festival, and more. Recipes include Ham Croquettes with Pear Pepper Jelly, Bacon and Barbecue Quiche, Crawfish Enchiladas and Creole Tomato, and Crawfish Macaroni and Cheese. A nationally and internationally recognized chef and educator as well as the star of PBS/WYES’s New Orleans Cooking with Kevin Belton, and now Kevin Belton’s New Orleans Kitchen, Belton is known for his expertise in creating New Orleans cuisine and sharing the culture and culinary heritage of the greatest city in the world. He resides in New Orleans. Rhonda Findley is the coauthor of several New Orleans-centric books, including 100 Greatest New Orleans Recipes of All Time. Her thirty-year culinary career includes professional restaurant management, radio broadcast, and freelance food writing. She lives in the Bywater-Marigny neighborhood of New Orleans. Are you trying to live a healthy and happy life? Do you want to improve your eating habits but still struggle with self-control and diets? What foods are allowed and what not on a KETO diet. The recipes you will read in this cookbook are versatile, starting from your everyday dishes, to modern innovations. So don’t waste a minute more and get yours today to begin your journey to a healthier lifestyle with the help of all the delicious recipes you are about to learn. After Hurricane Katrina tore through New Orleans in 2005, Cooking Up a Storm was published to tell the story—recipe by recipe—of one of the great food cities of the world and the determination of its citizens to preserve and safeguard their culinary legacy. Ten years later, the city is back in business and this hardcover edition of the original cookbook is here to celebrate the community's rebirth by reminding us of the great recipes that belong only to the city of New Orleans, but are beloved by us all. Chef Kevin Belton, a true Creole New Orleanian, dishes up the culinary history of his city with recipes that provide both down-home comfort and the big flavors he is famous for. He teaches how to make a perfect roux and explains the background of that holiest trinity of Creole cooking–celery, onion, and bell pepper–while offering his spin on the Louisiana classics of gumbo, jambalaya, étouffée, po’boys, and grillades with grits. Chef Belton’s signature dishes like Pecan-Crusted Redfish, Stuffed Mirlitons, Louisiana Boudin-Stuffed Quail, Creole Cottage Pie, and Bread Pudding with Whiskey Sauce are not to be missed and are well worth the time in the kitchen! Kevin Belton, a teacher of the fundamentals of Louisiana cooking for more than twenty years, is an instructor at the New Orleans School of Cooking and has been recognized as one of the top thirty Louisiana chefs by the American Culinary Federation. Belton explores the distinctive Creole food of New Orleans in his PBS cooking series, New Orleans Cooking with Kevin Belton, which will begin airing in January 2016. He has been a guest on numerous food programs including Emeril Live, Ready . . . Set . . . Cook!, Live Love Lunch, Food Fighters, Taste of America, and Eating in the Bayou. Rhonda Findley is the author of several New Orleans-centric books including the best-selling 100 Greatest New Orleans Recipes of All Time and New Orleans Unleashed. Her thirty-year culinary career includes professional restaurant management, radio broadcast, and freelance food writing. She makes her home in the Bywater-Marigny neighborhood of New Orleans with her 9th Ward dogs, Presston, Reni, and Mr. Big Stuff. Here for the first time, the famous food of Louisiana is presented in a cookbook written by a great creative chef who is himself world-famous. The extraordinary Cajun and Creole cooking of South Louisiana has roots going back over two hundred years, and today it is the one really vital, growing regional cuisine in America. No one is more responsible than Paul Prudhomme for preserving and expanding the Louisiana tradition, which he inherited from his own Cajun background. And the third: With this cookbook, you will cook better, tastier and faster meals for yourself and your family. This Air Fryer recipes cookbook is filled with nutritious and delicious recipes. There are many VEGAN recipes (150+) in this cookbook too. 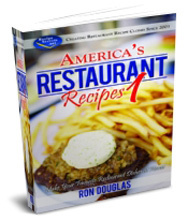 River Road Recipes is the nation's #1 best-selling community cookbook series. This cookbook features classic creole and cajun cuisine. 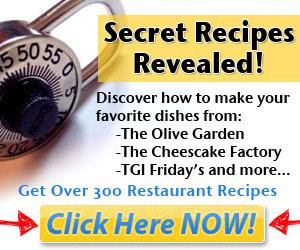 These 650 recipes include the basics like How to Make a Roux. This is the Textbook of Louisiana cooking. A badass modern Cajun cookbook from Top Chef fan favorite Isaac Toups and acclaimed journalist Jennifer V. Cole, featuring 100 full-flavor stories and recipes. Cajun country is the last bastion of true American regional cooking, and no one knows it better than Isaac Toups. Now the chef of the acclaimed Toups' Meatery and Toups South in New Orleans, he grew up deep in the Atchafalaya Basin of Louisiana, where his ancestors settled 300 years ago. There, hunting and fishing trips provide the ingredients for communal gatherings, and these shrimp and crawfish boils, whole-hog boucheries, fish frys, and backyard cookouts--form the backbone of this book. And more authentic Cajun specialties like Hopper Stew and Louisiana Ditch Chicken. Along the way, he tells you how to engineer an on-the-fly barbecue pit, stir up a dark roux in only 15 minutes, and apply Cajun ingenuity to just about everything. Full of salty stories, a few tall tales, and more than 100 recipes that double down on flavor, Chasing the Gator shows how--and what it means--to cook Cajun food today.